The Isothiocyanates we offer to the clients are processed at our base using high-grade ingredients and intermediaries. Our offered range is processed under the guidance of our deft experts in accordance with the set industry standards. Our range includes Isothiocyanates such as 1-Naphthylisothiocyanate, Allyl isothiocyanate, Amoscanate, Bitoscanate, Fluorescein isothiocyanate and Isothiocyanate. Our chemicals are widely demanded in several industries for their longer shelf life, precise pH value and non-toxicity. Apart from this, we have appointed a team of expert quality controllers, which stringently tests the chemicals on different parameters to ensure zero impurity. 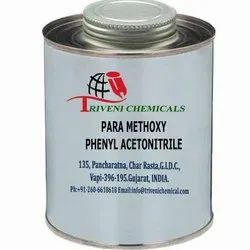 Para Methoxy Phenyl Acetonitrile (104-47-2) is light yellow clear liquid. it is also known as 4-Methoxyphenylacetonitrile, 4-Methoxybenzyl cyanide, p-Methoxybenzylnitrile, p-Anisylacetonitrile and 4-Methoxybenzyl cyanide. it is use in perfumery, food flavours, Aromatic, cosmetic, Soap Detergent and Fraganance Industry. Storage: Keep container tightly closed. Keep container in a cool, well-ventilated area. 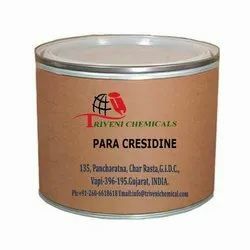 Para Cresidine (120-71-8) is White crystals. it is also known as 2-Methoxy-5-methylaniline, 5-Methyl-o-anisidine, 6-Methoxy-m-toluidine and p-Cresidine. it is use in perfumery, food flavours, Aromatic, cosmetic, Soap Detergent and Fraganance Industry. Storage: Keep container tightly closed. Keep container in a cool, well-ventilated area. Looking for Para Compounds ?